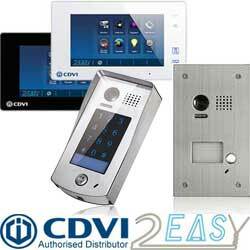 suppliers of top brands of CCTV cameras, Door Entry systems, Access Control systems, Intruder alarms. Online Security Products, suppliers of professional CCTV, Door Entry, Access Control and Intruder parts from top manufacturers. We supply a vast range of professional products from leading manufacturers at low prices to trade and industry. 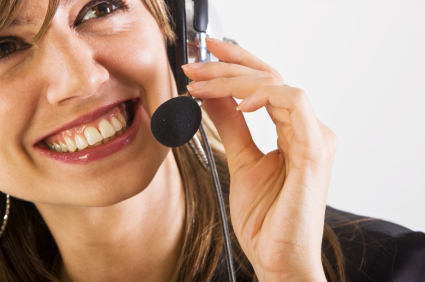 Established in 2007 our staff are highly experienced having worked in the security industry for years. Online Security has unrivalled expertise as distributors to the UK CCTV industry. Online Security supply innovative, high quality and competitively priced CCTV Cameras, IP Video Solutions, NVR and DVR Digital Recording Surveillance Systems. Online Security Products provide CCTV security solutions from global manufacturers such as Dahua, Genie, Samsung, Cobra, HikVision, Alien and Nite Devil to trade and professional installers dealing with complex projects and to technically aware end users. OLSP Limited t/a Online Security Products team have a lifetime of experience working within the electronic security industry, specialising in distribution of CCTV from global brands such as Dahua, Samsung and Genie CCTV. Authorised resellers of Dahua, Genie CCTV, Twilight, Dedicated Micros, Computar, Ganz, Samsung, Vicon, Alien, Cobra, Venom. Dome cameras, Bullet cameras, Eyball cameras, PCB cameras, Vandal dome cameras, Covert cameras, AHD cameras, HDCVI cameras, IP cameras, HDTVI cameras, DVRs, NVRs, Hybrid DVRs and Security cameras. CCTV systems have recently moved from 720 X 576 pixels per frame to 1920 X 1080 pixels per frame (1080P) as a starting resolution, using conventional CCTV co-ax or cat5 cables and called Analogue-HD these CCTV cameras provide 2MP resolution and 16:9 widescreen format. There are competing HD CCTV formats such as AHD, HD-TVI, HD-CVI etc. however most CCTV DVR recorders are multiple format, however you should check that the recorder you select is compatible with the CCTV Camera you like. Alternately there are IP systems available, utilising CCTV NVR Recorders these offer up to 12MP resolution and are increasingly popular due to ease of installation, an NVR with built in PoE simply requires a CAT5 cable between camera and recorder. Online Security Products offer a vast range of professional Intruder Alarm parts from many major UK manufacturers including Cooper (Scantronic), Risco, Castle Care, Pyronix, Electronics Line, Texecom. Intruder alarm systems are designed to protect buildings by making a noise or calling keyholders/police/fire authorities when an intruder, personal attack or fire alarm is activated. Often Intruder Alarm systems are installed to Insurance requirements, these systems are graded and must be designed, installed, commissioned and maintained by a registered company. DIY Intruder Alarm systems are possible for technically aware users, however most manufacturers will not provide any support either for the design, installation, fault finding or repair of a Intruder Alarm system, referring end users to specialist Intruder Alarm installers for this service. If you do choose to DIY an Intruder Alarm system we would recommend the Secuplace kits/parts as they will accept technical support calls for these products, click here for more. Online Security Products are leading UK suppliers of professional Access Control products at trade prices to Access Control installers. OLSP Limited Access control systems typically provide control to one or more doors within a building, most systems use RFD fobs or cards to act as tokens giving permission to open a door, gate or barrier to only those who are issued with them, typical access control systems comprise an electric lock, a controller, a reader, a power supply and if their is more than one point may be networked together to manage cards/fobs from a central location i.e. a PC. Online Security Products are suppliers of Professional Door Entry systems to the trade at great prices, we supply parts from most leading door entry system manufacturers including CDVI, Aiphone, BPT, Comelit, Videx, Fermax, Bitron. OLSP Limited t/a Online Security Products Door Entry products typically include an external call point which can be audio only or audio and video, in a standard Door Entry system the external Door Entry call point acts as your doorbell calling audio or audio and video door entry points inside the property, the internal door entry points can operate and electric lock or an electric gate. Variants of Door Entry systems include wireless systems using DECT technology to a dedicated portable handset, or some Door Entry systems utilise GSM to call telephones, most will store multiple numbers and transfer if unanswered to the next number. Some Door Entry systems can utilise WiFi to communicate with tablets and smartphones as well as fixed Door Entry points.